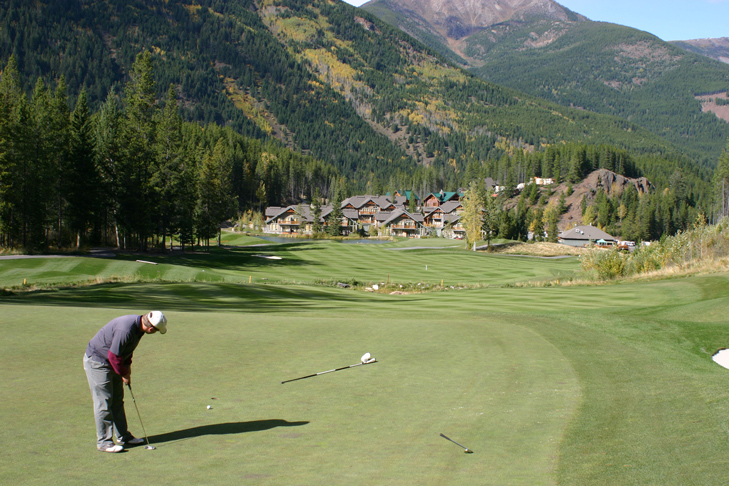 Greywolf Hole 1: The starting golf hole is a nice, uphill sweeping dogleg left with a fairly wide drive. The approach must clear “Hopeful” creek to a green that slopes a lot from back to front, sitting between two bunkers. 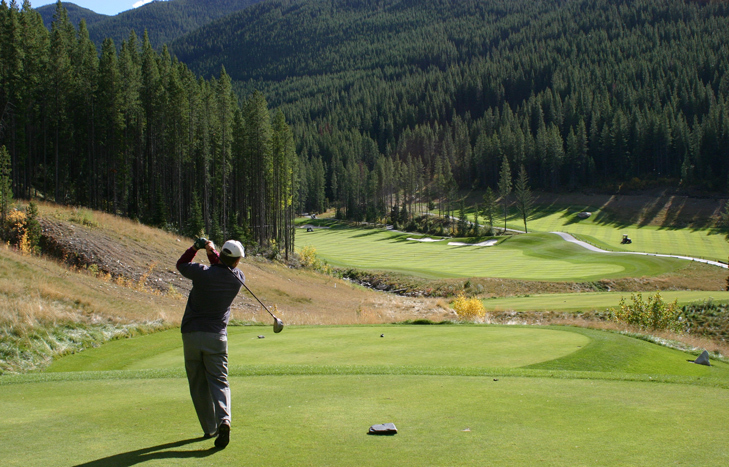 Greywolf Hole 2: Relatively short, but uphill and straight, this is a basic par four cut from the surrounding trees. 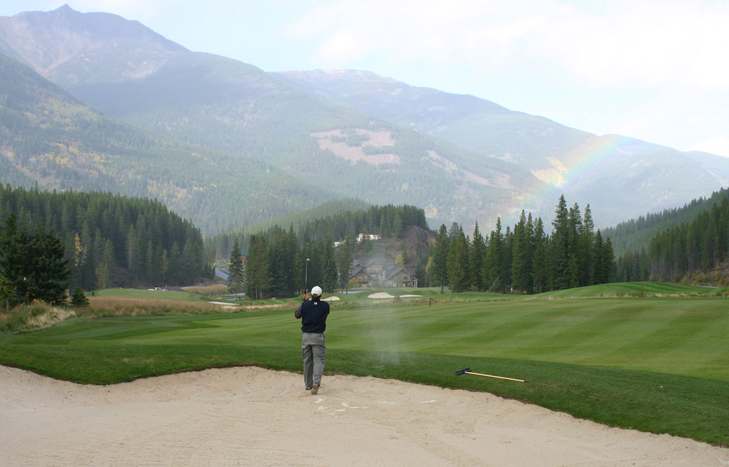 Greywolf Hole 3: This third hole echoes the much used real estate mantra, "Location, location, location." 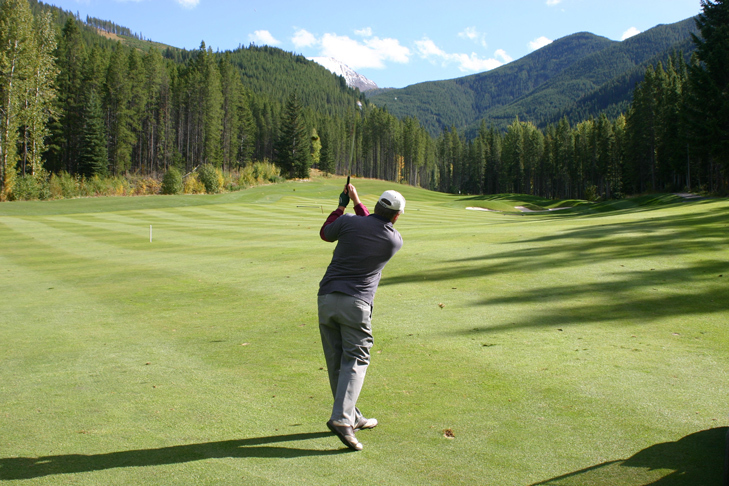 The tee shot is elevated and provides a serene view to the fairway angling off to the left, between the trees and creek left and the sand traps and trees to the right, with forested mountainside in the background. When the hole turns the corner, it raises uphill with the backdrop being more forested hills and permanently snow-capped mountains. What makes the hole great from a golfing perspective is the drive, which allows the golfer to challenge the left side to set up a shorter approach to go for the green in two. However, if hit well and right, the drive will definitely go through the fairway, making even par a more difficult proposition. Greywolf Hole 5: This downhill par five must clear “Hopeful” Creek on the second shot and avoid it as it approaches the left side of the green. Once again, the views on the hole are fantastic from tee to green. 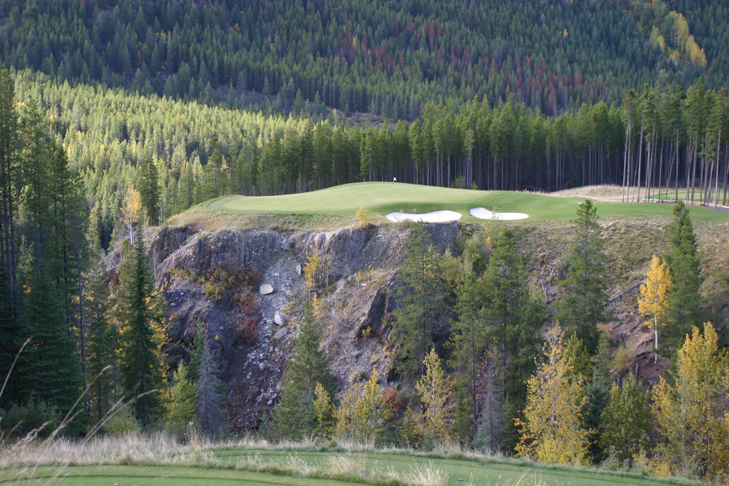 Greywolf Hole 6: The signature hole is one of the most fantastically beautiful and scary par 3’s in the world. Named “Cliffhanger”, the only bailout option is right, and there isn’t too much room over there unless the shot still has the correct distance. Anything missing elsewhere won’t be found, at least without a back-country guide. 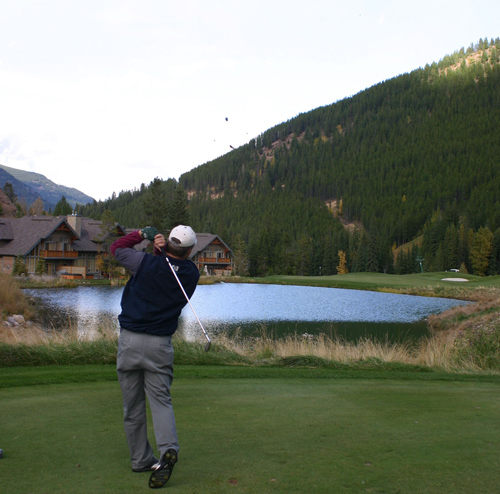 Greywolf Hole 15: This pretty little hole on the back nine is a true test of accuracy as the green is small and the lake fronting it is readily accessible. There are also a slew of bunkers and uneven lies for the player who goes to long or left of the green. More Canadian Golf Course Reviews. We take your privacy very seriously and won't rent or sell your information. 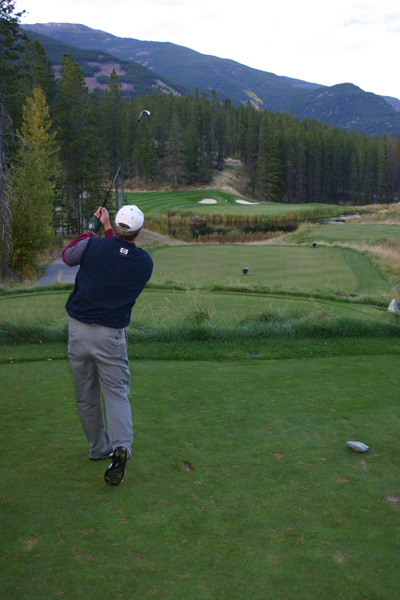 Copyright of GolfTop18.com and Erin Melcher. All Rights Reserved.